Jonathan Rose Companies and L+M Development Partners are planning a 384-unit mixed-use building in East Harlem, part of their even larger Sendero Verde complex. The building will be located at 1681 Madison Avenue and span about 346,000 square feet, split between roughly 318,000 square feet of residential space and 28,000 square feet of commercial space. It will rise 37 stories with 384 residential units. Representatives from Jonathan Rose Companies did not respond to a request for comment. L+M declined to comment. 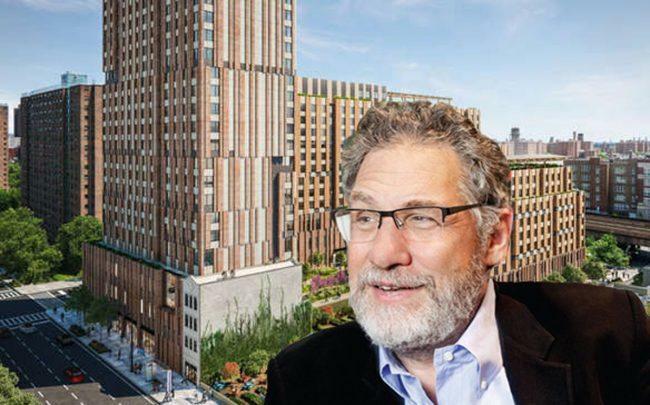 The city selected Jonathan Rose Companies and L+M last February to build Sendero Verde in East Harlem, a 751,000-square-foot mixed use development. The Acacia Network is a partner on the project as well. It will feature 655 rent-regulated apartments and 79 senior citizen housing units, along with a charter school, a supermarket, a YMCA, a community center and a health care center. It will be on city-owned lots between East 111th and 112th streets between Madison and Park avenues. The City Council approved a rezoning of East Harlem in November, which spans 96 blocks and is expected to create 1,288 units of affordable housing on private land. Jonathan Rose Companies recently agreed to sell its building at 240 West 40th Street to Ray Yadidi’s Sioni Group for about $105 million. The firm paid $500 million for the affordable housing portfolio of Forest City Realty Trust last year.